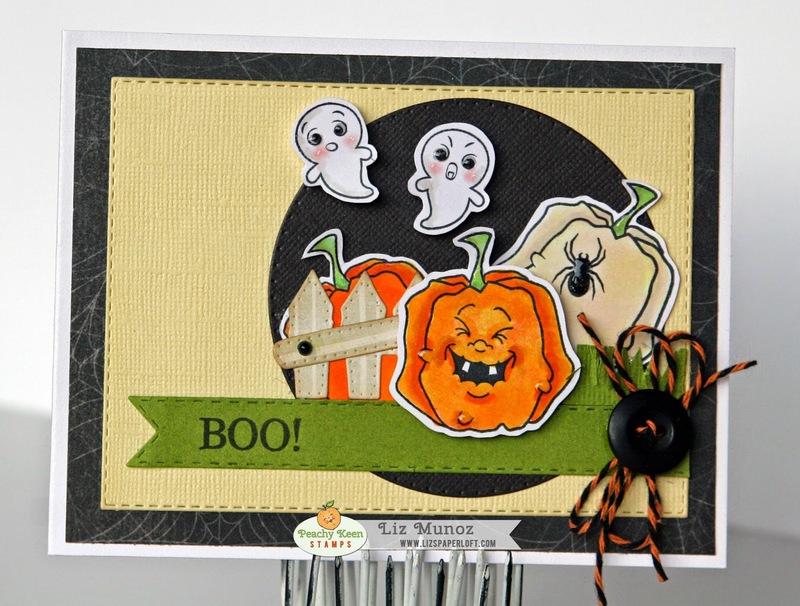 Liz's Paper Loft: PKS Photo/Color/Sketche Challenge ~ Boo! Hello, peachy friends! 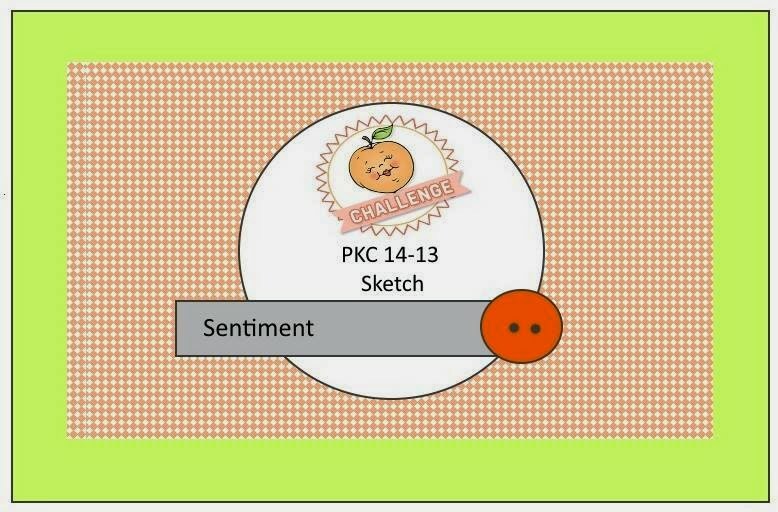 It's time again for a color, photo, sketch challenge with Peachy Keen Stamps! 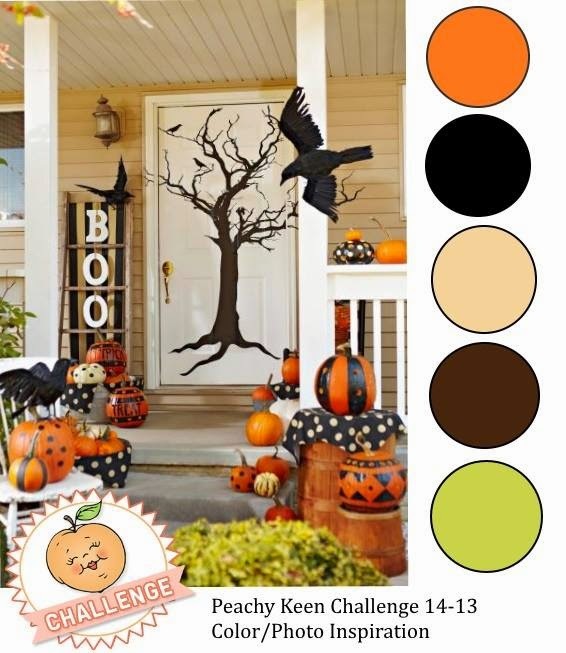 I love the PKS challenge since you have the choice to use any part for inspiration. I've used all three, however you don't have to. You can pick one part of it or all of it!!!! Isn't this what being creative is all about! It's super cool how you can mix and match so many PKS sets, even with some that are older. 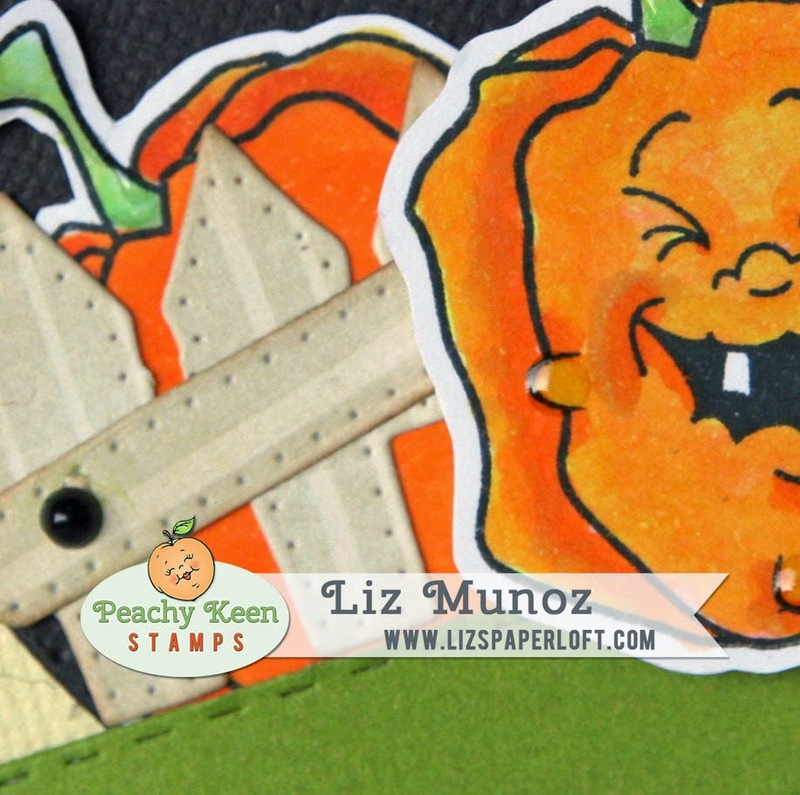 Like the new pumpkin with the Make a Monster Face assortment set. Be sure to stop by the other gal's blogs to see what awesome thing they've created! Liz this is so stinking cute. 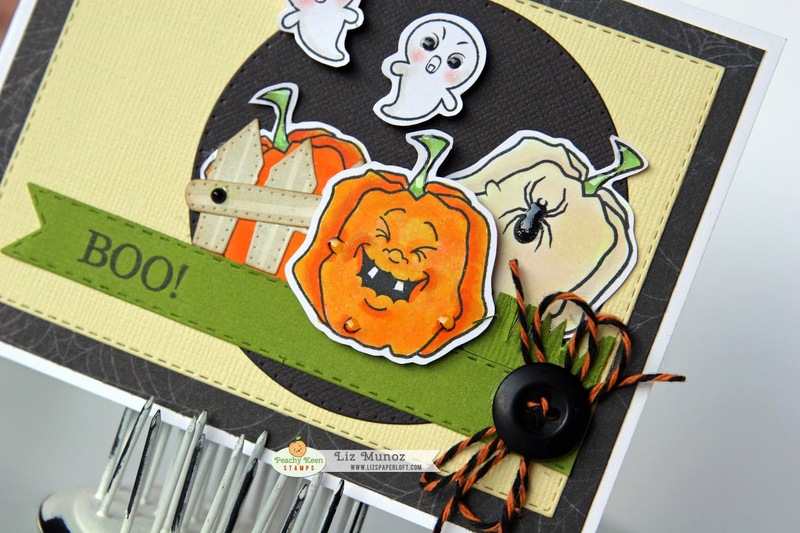 I love you cute pumpkin and great idea to add glossy accent to you spider.